The Hattingh Family welcomes you to Africa and hopes to share the wonders and vibrant spirit that this great continent has to offer. We pride ourselves on our high percentage of repeat clientele, a direct result of our dedicated team of professional hunters, trackers, skinners and camp staff. This is more than a business for us, it’s a way of life and you are invited to become a part of our Lucca African Safaris family. The team looks forward to meeting your every expectation, whether it is your first trip to Africa, a hunt for the Big 5 or the choice of our 40 different plains game species. 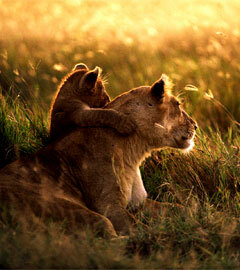 We are here to ensure that you experience the safari of a lifetime. The Eastern Cape has a reputation for its superb eco-tourism infrastructure with a 100% malaria free environment. It enjoys a daily average of 7 hours of sunshine annually. Winter (April-August) temperatures range from 7.1 degrees Celsius (44.8 degrees Fahrenheit) to 19.5 degrees Celsius (61.3 degrees Fahrenheit) and 25.4 degrees Celsius (77.8 degrees Fahrenheit). In general, the weather of the Eastern Cape is kind to visitors. The Eastern Cape boasts a remarkable natural diversity, ranging from the lush, evergreen Tsitsikamma Forest to the rugged Baviaanskloof Wilderness Area, the southern slopes of the Drakensberg and the arid Great Karoo. It is known as the land of rolling hills, endless sweeps of rocky coves and sandy beaches, towering mountain ranges and verdant forests. A feature of the Eastern Cape is its astonishing coastline, which is a paradise for water sports enthusiasts; surfers ride the perfect waves, anglers reel in king-size catches, and board sailors revel in the challenge of the wind. Fine leisure resorts and splendid facilities ensure that there is something for everyone! The Eastern Cape Province, also known as "The Cradle of Human Culture" played a very prominent and important role in South African history. Black and white met for the first time, but long before the ensuing black-white contact of the 18th century, man had already left his mark in this area. The discovery of the Nahoon footprints in 1964 marks human presence in the area to about 200 000 years ago, thus making the Eastern Cape city of East London, the site of the world's oldest fossilized human footprints. The Eastern Cape is in the fortunate position that it is home to the largest land based mammal (the elephant), the tallest (the giraffe), the fastest (the cheetah), the smallest (dwergskeerbek-mouse), the largest non-flying bird (the ostrich) and the largest flying bird (the kori bustard). South Africa is one of the world's finest Safari destinations and the Safaris are conducted within the unique habitat of a diversity of high-mountain sour veld, open, flat grassland alongside semi-desert thorn scrub, dramatic vistas and the exotic rock formations of the magnificent Karoo region. Lucca African Safaris specializes in providing discerning hunters with a wide variety of hunting opportunities, extremely high quality trophies, personalized service and the true spirit of hunting in South Africa. We deliver superb results and splendid memories. The area to be hunted will be dominated buy the hunter’s game requirement, but can be categorized in the four areas, (1) Open Karoo Savannas (2) High mountains with Deep valleys (3) Coastal Forests and (4) Kalahari dessert. We are able to hunt the entire year, but the most popular time is mid-March to end of November. 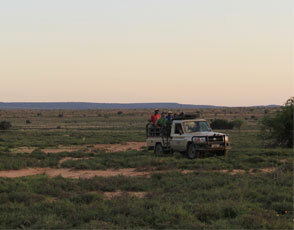 At Lucca African Safaris we offer you a choice of hunting options. Clients can hunt off the Trophy Price List on a Daily Rate Ore alternatively, you can choose a package or we can tailor make a package for your needs. Most of our hunting is undertaken using the ‘spot and stalk method and our hunts are fair-chase. Shots vary between 100-300 yards for plains game species and 20 – 50 yards for most dangerous game species.